B Public Relations has been appointed to handle the beauty PR for MiN New York. 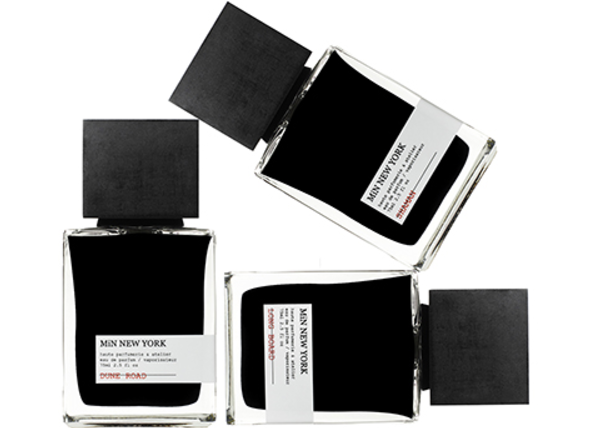 Established in 1999, MiN New York is a luxury brand based out of New York City. Atelier. MiN New York celebrates the art of living with a focus on quality and artisanship in a New York Minute. Scent Stories, Volume 1 is an exclusive unisex olfactory project featuring 11 fragrant chapters / scents. Each scent is designed to create emotions, bring back memories, and inspire people to think outside the box when it comes to perfumes. As an exclusive luxury range the Scent Stories collection is composed of the most exquisite raw materials in the world. Each bottle is limited edition, individually hand signed, with only 1,000 bottles of each perfume produced each year. Inspired by Japanese Volcanic Hot Springs, Onesen is launching exclusively with Harvey Nichols Knightsbridge. Onsen is an infusion of four (out of five) elements in Asian philosophy: air, earth, wind, and fire. The scent conjures an image of hot volcanic springs surrounded by winter frost and snow. Stimulating aromatics including absinth, bergamot, hinoki, pine needles, cypress, vetiver roots, oak moss, ambergris, mineral, sulfur, and steam create a woody aromatic fragrance.